One thing Doorways has always placed an emphasis on for its own employees is training. When Adolfson & Peterson Construction (AP) asked us to provide door, frame and hardware installation training for their up-and-coming carpenters, we jumped at the chance because we know a better educated workforce is good for all projects the entire construction team. Doorways pulled in its most experienced installers, people with decades in the field, and teamed them up with AP’s employees. 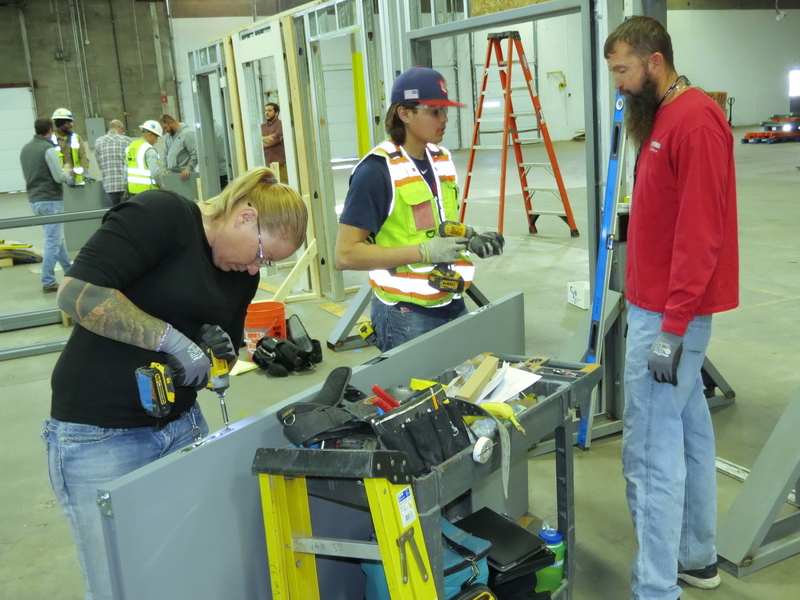 Using mocked up openings staged in our warehouse, these new carpenters were able to learn from door and hardware industry leaders. 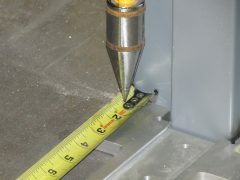 Instruction started with the setting of a welded frame into stud walls and knockdown frame installation. 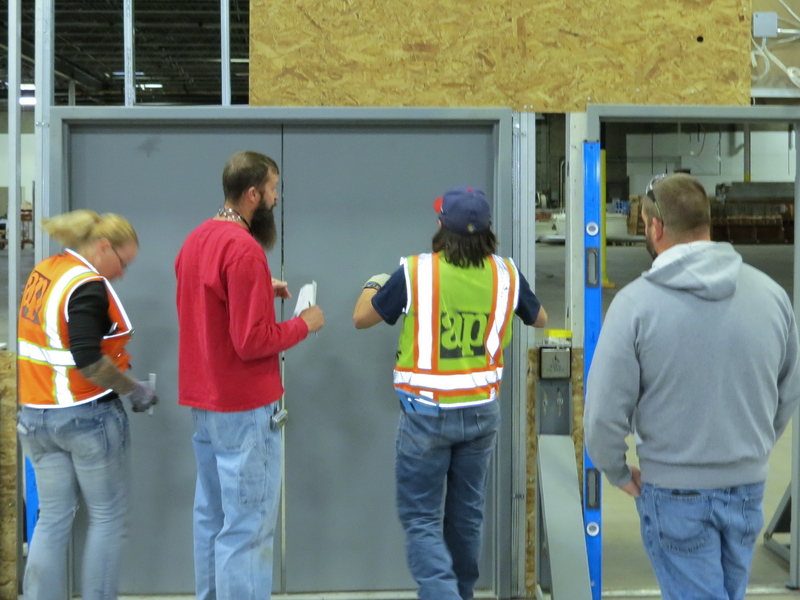 Attendees then installed a variety of hardware on doors including locks, closers, hinges and flush bolts. 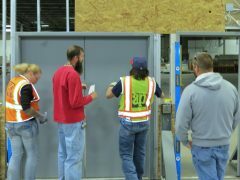 Once the doors and frames were prepped, the doors were installed in the openings providing a complete start-to-finish lesson. 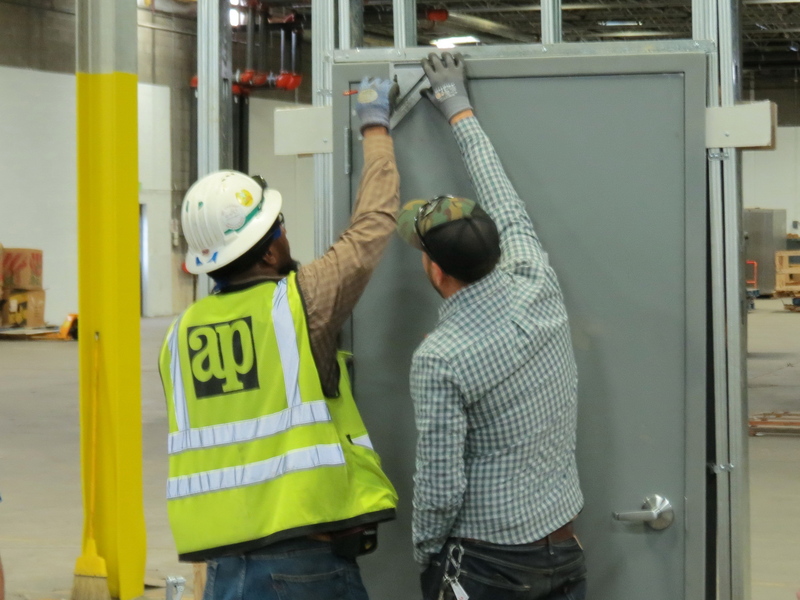 The day long class also allowed the Doorways and AP teams to familiarize each other with processes and procedures the other employs. 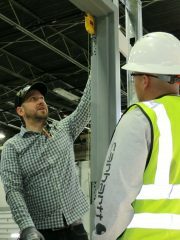 This will help to ensure a great level of collaboration and allow for smoother running projects in the future. 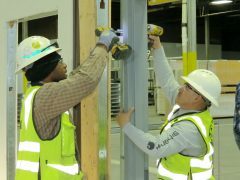 Adolfson & Peterson Construction carpenters learn door, frame and hardware installation from Doorways’ experts.